One of the best feelings you can get is that feeling you get when you save money. Even if it’s only a buck or two, we get a sense of accomplishment and can’t wait to tell others about how we just saved money. It’s funny how little things like saving a dollar here and there can give us so much joy and happiness, but they do. After all, it’s the little things in life that count, right? In all my 27 years of existence here on earth, I’ve noticed one thing everyone has in common – they love to save money. At least, I’ve never heard anyone ever say “I don’t like saving money,” have you? Some people go crazy over saving just a few cents. Just the other day I was at a convenience store standing in line to pay for my gas and a gallon of milk. While standing in line, the lady in front of me was throwing a ruckus and yelling at the cashier because the bottle of soda she was purchasing was marked $2.29 on the rack, but when the cashier scanned the bottle it came up as $2.49 in the system. Well, this lady made it clear that she wasn’t going to pay the 20 cent difference (everybody in the store heard her), and quite honestly I felt bad for the cashier who was trying to remain calm and polite. Wowyyy, I should have told that lady about the free money saving websites below. I mean after all they’re FREE, easy to use, and there’s no screaming at a poor convenience store clerk involved. Everybody loves saving money, some more than others. Like the extreme money saver example I used above with the angry convenience store lady. Then there’s normal people who just like saving money to feel good and share with others. You know how the old saying goes, a penny saved is a penny earned! Believe it or not, some good did come out of the angry convenience store lady situation. For one thing, she got her way and saved 20 cents. The other good thing was that she inspired me to write this post about how to save money. Boom! Hat off to you angry convenience store lady for the inspiration! Today I want to share with you three of my favorite feel good apps and tools that save me money daily. They’re free and really easy to use to use. Some just require you to snap a picture of your receipt and upload it to the app and presto, you instantly get cash back. The world we live in today is amazing! Let’s get started, please allow me to present to you with spectacular money saving tools and apps that will save you money over and over again, and earn cash back on everyday purchases! TopCashBack.com is free to join. As a member you’ll earn money back when you shop online. They also guarantee that their members will receive the highest amount of cash back available. Click here to join TopCashBack.com and start earning cash back today! Another free and easy to use cash back and rebate website. As a Mr. Rebates member you’ll receive cash back on all of your online shopping at over 2,000 different stores. You’ll be able to earn up to 30 percent cash back on every dollar you spend! Start earning cash back on all your online purchases today by joining Mr. Rebates for free and earn a $5 bonus on your first purchase by clicking here. Checkout 51 is free to join and you’ll earn a certain dollar amount back on every purchase. The nice thing about these guys is you don’t have to only shop online. Instead, you can shop anywhere and at any store. Then, just upload your receipt and they credit your account for the amount of cash back you received. For example, one day I bought paper toweling, toilet paper, and laundry detergent and earned $5.65 cash back just for these three things! Click here to join Checkout 51 for free today! This is another easy to use and free to join cash back members site. To use Dollar Dig just sign up, find your favorite store (over 2,000 retailers to choose from), click on their link, then shop as you normally would, and begin earning cash back on each purchase. Dollar Dig is very similar to Mr. Rebates above. Click here to Join Dollar Dig for free and start earn cash back immediately! Swagbucks is a very popular free online rewards site where you can receive cash and gift cards by becoming a member and doing online activities like shopping, watching videos, completing surveys, surfing the web, playing games, and more. Click this link to Join Swagbucks and receive a free $5 bonus just for signing up! Now, the beautiful thing about these apps is they allow you to quickly snap a picture using your smartphone with the app. If you don’t have a smartphone, don’t worry I boycotted getting a smartphone for the longest time too and you can still use the companies’ websites to save money. If you don’t have a smartphone or even if you do, you might feel more comfortable uploading your receipts from your computer. Just take a picture of your receipt or you can use a scanner, then click on the links above to go to any of the companies’ websites, create an account and upload your receipts of qualifying purchases that way. 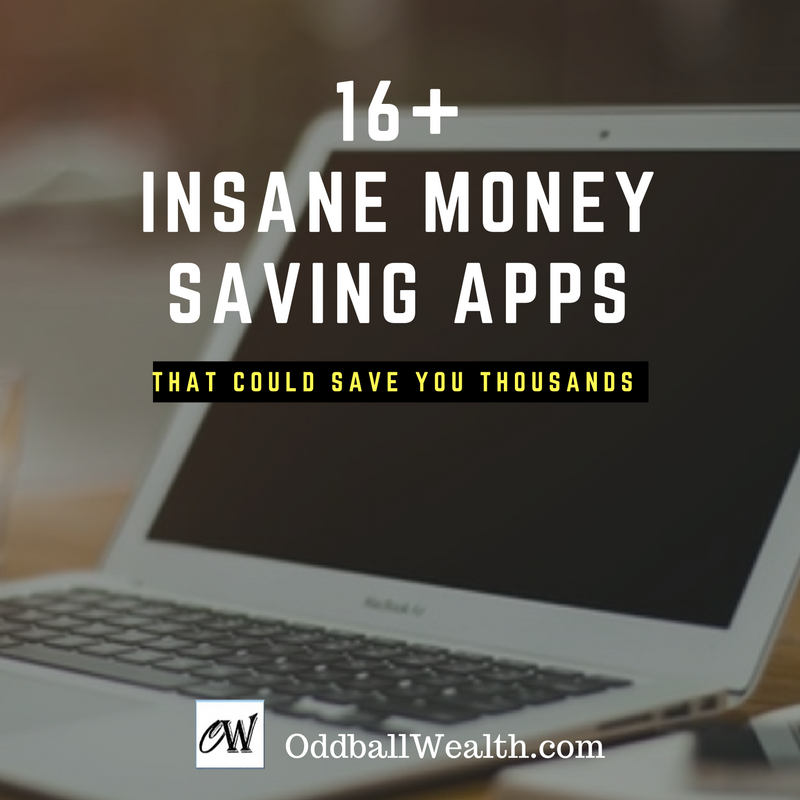 Whether you use the apps on your phone or go directly to the companies’ websites, you’ll save the same amount of money regardless. Uber – The next time you need a ride somewhere use Uber. My friends and I use to always take a cab to and from the downtown bars each weekend and paid a fortune in cab fare each way. Eventually we started using Uber instead and saved about $75 every weekend! They’re cheaper and much more convenient than traditional taxi services. Get a FREE ride up to $20 by using this link and entering promo code RIDINGUBER20! Airbnb – One of the easiest and most affordable ways to travel and find short-term vacation homes to stay in is by using Airbnb. By using these guys, you’ll normally be able to find vacation homes rates for cheaper than hotel rates, and you’ll have more space, a full kitchen, living room, separate bedrooms, and everything else a home has to offer compared to a hotel. Additionally, if you have a bunch of people you’re going on vacation with, it would be a whole lot cheaper to rent a house and split the cost than it would be for everyone to get their own hotel rooms. Republic Wireless – Republic Wireless can be described using one word… Amazing. They’re a wireless carrier with cellular plans for only $15 per month! Seriously check these guys out, this is one of the easiest ways to save money every month. My friend switched over to Republic Wireless and now saves over $100 per month on his cell phone plan. I plan on switching my cell phone plan over to them as soon as my contract is up with my current cellular provider. Ebay – Since I can remember Ebay has always been one of my favorite websites to use for finding the cheapest price on a lot of things. You can find just about anything your looking for new or used at the lowest price, which makes it a great site for saving money. Amazon – As one of the largest online retailers in world, it’s evident that their huge success can be contributed to their unbeatable low prices, on everything from books to coffee. Click here to go to Amazon and start saving money today! CampusBookRentals.com – I was in college for a long time, for 6.5 years to be exact and earned two degrees during that time. One thing I learn quickly was that textbooks are very expensive and can run you over $1,000 a semester just to buy textbooks. I decided to save money by renting my textbooks, and ended saving literally thousands of dollars by renting my textbooks from CampusBookRentals.com instead of purchasing them every semester. Get $4 off your order using this special link and entering promo code backtoschool2011 today! Priceline.com – Use this website to save money and get discounts anytime you travel. Save money on everything from hotels, to airline tickets, vacation packages, car rentals, and much more! Learn how you can save up to $500 with a flight and hotel package using Priceline! LendingTree – A free and easy to use website that allows you to compare and find the lowest mortgage loan rate. Get personal loan and rate quotes in seconds without having to enter in a bunch of personal information. Click here to compare up to 5 lenders at LendingTree. Lending Club – Lending Club is an online lender which offers loans with lower rates compared to traditional banks and credit unions. As an online lender, they have less overhead costs and operating expenses. Those savings then get passed on to you the consumer. Click here to learn how you can save thousands of dollars with a low rate on a personal loan with Lending Club! Personal Capital – Personal Capital is free to join, free to use, and is one of my favorite financial tools. I use this website and app to track and manage my money and all of my financial accounts. I’m able to create budgets, view my net worth, receive email alerts of upcoming bills, and it even categorizes all of my spending and expenses for me to quickly view and look at areas where I may be overspending. If you haven’t already joined Personal Capital, what are you waiting for? Click here to sign up today, it’s free! Credit Sesame – Never pay for your credit report or credit score again! I use Credit Sesame to securely track and view my credit score and get a detailed credit report for free anytime I want. They also allow you to sign up for email alerts and updates. Click here to find out what your credit score is today by joining Credit Sesame for free!